Healthy Choice Massage TherapyNewsHealthHydrate, But Not Too Much! Hydrate, But Not Too Much! As we all already know, the average person needs to drink about two liters of water a day. We have seen people drink a lot more than that. This is not always a good thing unless you are in a desert and you need to stay hydrated. 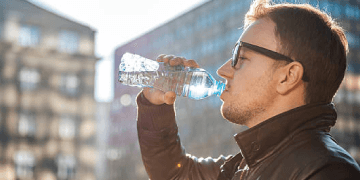 Excessive water or fluid intake, particularly if this happens quickly, could cause hyponatremia (low sodium levels) that leads to brain edema and death. urine that’s clear as water usually indicates an excessive amount of fluid intake. People with a heart condition or kidney disease need to be extra careful with the excessive fluid intake. When to Exercise After My Massage?